﻿ Incredibly Powerful Old School RuneScape PKing Build! Incredibly Powerful Old School RuneScape PKing Build! Many of you guys come to 2007RunescapeGold.com to buy Old School Runescape Gold as we offer you a safe place to do so and very low prices. But we also love to share thoughts on Old School Runescape with you and awesome stuff that we find online. 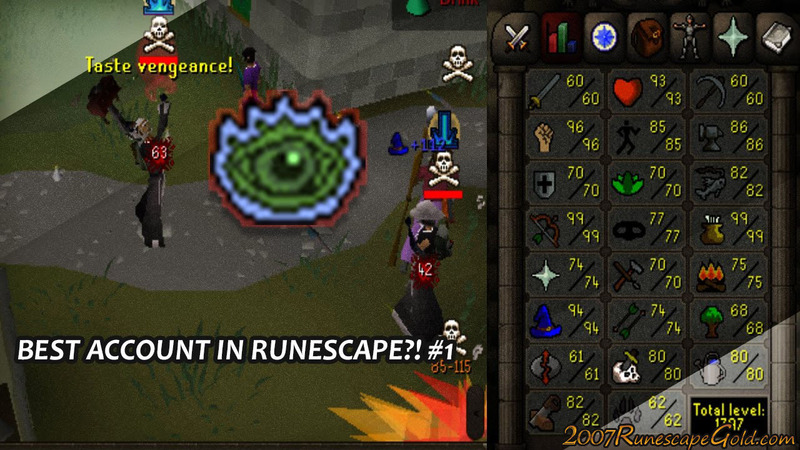 Well, we love PKing (or just plain old PVP if you prefer) in Old School Runescape and we have really gotten into messing with different builds in the game to see what is the most powerful and devastating to use when taking on other players. We came across a fantastic video from a YouTuber called BoomEpicKill. We actually used the Obby Tank that he has in this video. It is at 99 strength and it is just an absolute killing machine. A few of the things that are just so cool are the +77 Crush, +109 melee strength bonus, and the fact that it has over 130 for four different defense bonuses! In other words, this is just a ton of fun to play as. You basically just walk up to a player and start whaling on them. Your increased crush and melee attributes make light work of anyone and your defense bonuses really do equip you well for taking any punishment the other player tries to dish out. We have seen some very powerful PKing builds the last few months, but this 99 strength Obby Tank is not just super powerful. It is also one of the most fun accounts to play as. It makes taking people on just a total blast and you will be laughing the whole time! So please check out the build and let us know what you think. Also, let us know what the best PKing build you have seen or used in OSRS is!